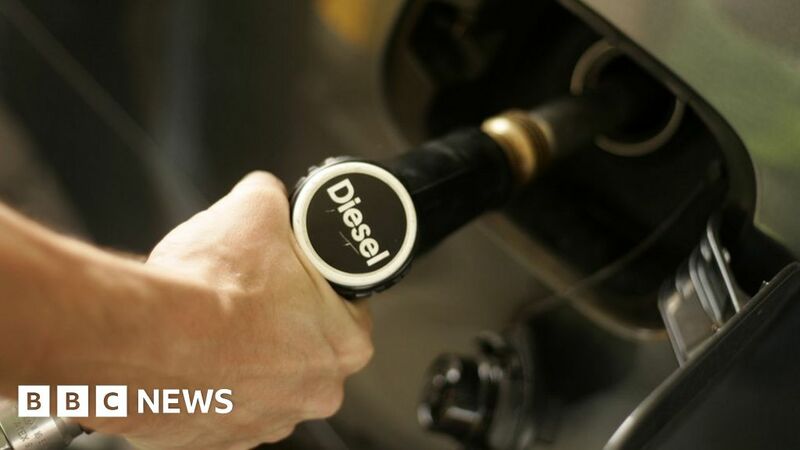 Drivers shunning diesel cars is partly to blame for a rise in carbon dioxide emissions from new vehicles, the car industry trade body. The 0.8% increase, to 121 grams per kilometre, is the first rise since the SMMT began reporting levels in 2000. Diesels typically emit up to 20% less CO2 than petrol cars and are more fuel-efficient. As well as slowing diesel sales, the SMMT said the popularity of SUVs contributed to the rise. SUVs produce about a quarter more CO2 than the smallest vehicles. Despite the small increase in carbon emissions last year, new cars now produce a third less CO2 in total than they did in 2000. New vehicles are much most efficient than older cars, but the 5.7% fall in new registrations to 2.54 million last year shows that drivers are keeping their cars for longer. The SMMT is calling on the government to offer a consistent approach to sales incentives and tax to encourage drivers to buy in the cleanest cars – and spend more on electric vehicle charging points. “Meeting the pan-European 2020/2021 new car and van CO2 targets looks ever more challenging, given recent market developments and government policy announcements,” the industry body said in its report. Electric cars account for just 0.5% of new car sales in the UK. The car industry has laid the blame firmly at the feet of government for the impact of anti-diesel rhetoric on new car sales. The SMMT says we are not buying diesel cars partly because the government wants to tax diesel. Consumers are therefore uncertain about what the true financial and environmental costs of owning a diesel might be. Factor in the additional uncertainty around what a diesel car will be worth on the secondhand market and it is no surprise new diesel sales fell by 17% in 2017. As a consequence, the UK is in danger of missing its climate change goals on carbon dioxide. A big jump in sales of 4x4s is also part of the problem, as they are heavier and consume more fuel. Although smaller cars still dominate British roads, SUVs now account for about one in five new cars sold. New SUVs have average carbon emissions of 141.3g/km, while a small car emits 115.8g/km on average. The EU target is for an average of 95g/km across all new cars sold. Getting drivers to downsize from supersized vehicles may prove trickier for the industry than getting governments to back cleaner diesel or install more electric charging points.